An Alternative Approach to Chores: Why We Stopped Giving "Chores"
Inside: Tired of fighting chore battles? Read about an alternative approach to chores that has nearly eliminated all fights about helping around the house. You probably came here looking for a chore alternative. Let me start by telling you that our kids don’t do chores, at least not in the traditional sense. 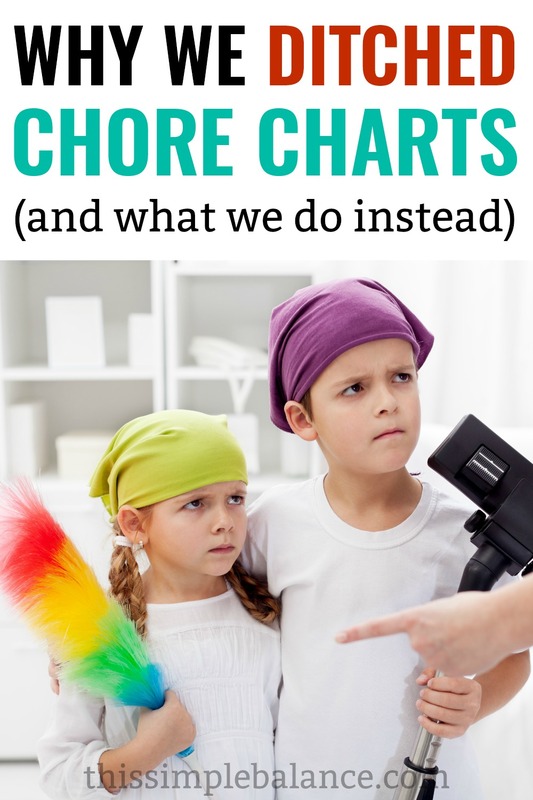 I’ve always hated chore charts, and we’ve never had them in our home. Gasp! Before you jump to the comments for a good rant about the value of contributing to the family via chores, give me a chance to explain. Instead of “chores”, our kids do “family service” and “paid jobs”. Does it really matter what you call it? Whatever you call it, chores are chores, some would say. But I believe word choice makes all the difference, especially when it comes to our attitude towards work. 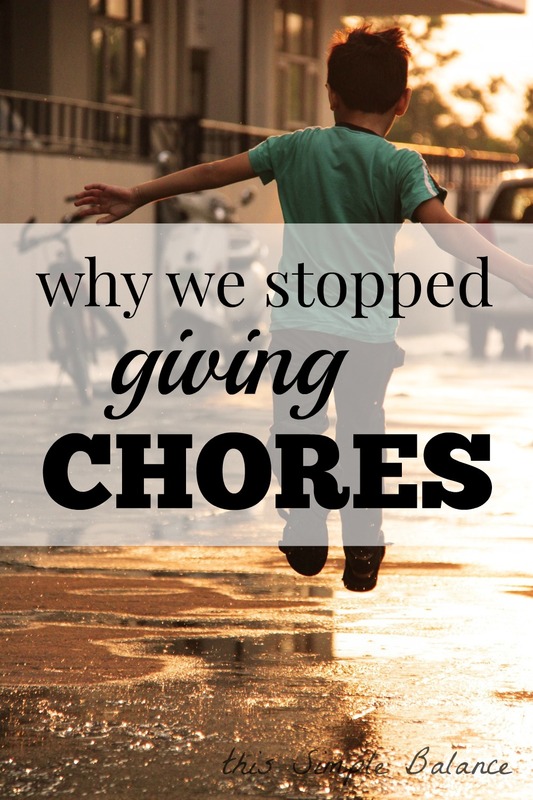 The word “chore” carries a negative connotation in our society. Let’s face it – chores are basically uninspiring and mundane (though necessary) work. If we’re honest, most adults aren’t that excited about doing their chores either. We drag our feet and try to find ways to make them less mundane. We listen to podcasts while do the dishes, watch TV while we fold clothes, and put off mopping the kitchen floor altogether sometimes. Chores, however, are one building block of a fulfilling life, and as my kids grow, I want them to develop an intrinsic motivation to do chores, not as their main job in life, but as one important part of their calling and greater purpose. Mastering these basic life skills is critical to all facets of a successful adult life, even ones that don’t seem directly affected. For example, I recently signed up for the 90 Day Budget Boot Camp (created by Rosemarie Groner of The Busy Budgeter). Unlike other budgeting programs, Rosemarie connects staying on top of the dishes and the laundry to budgeting success. She points out what we all know – allowing the dishes and the laundry to pile up causes stress, and that stress makes us far more likely to overspend and break our budget. If teaching my kids to do housework correlates with fiscal responsibility, I know I need to do it. The question is how? I dragged my feet when it came to giving chores. The opinions on chores are endless, it seems, and I wrestled with the underlying perspective of each different opinion. I want everything I do as a parent to be intentional: I want to know our family’s “why” and not just do something because someone else says we should. So when I finally determined that yes, chores are necessary and important, I decided that everyone needed to complete one chore each morning. I’m all about simplifying after all. Only problem? One child refused…every single day. I spent over an hour daily for a couple weeks dealing with his extremely bad attitude and resistance, and I almost quit from pure exhaustion. I spent one evening desperately googling “Should I give my children chores”. My search ended when I found an article titled “We don’t do ‘chores’…we do ‘family service’ instead“. We don’t want to teach our children that they have certain tasks around the house that they begrudgingly feel they have to do, or they only do so they can earn some money. We want to teach them to enjoy helping others – and helping themselves” (source). That is exactly what I wanted for my kids! To contribute to maintaining our home with a good attitude and desire to be help however they can. How does daddy serve our family right now? He works to make money for food and clothes and our home. How does mommy serve our family right now? She cooks, pays bills, and takes care of us. You can serve our family too! We’re not going to do a “chore” anymore; we’ll do “family service” every morning instead. Now, I want you to look around the house for a way you can serve our family. If you need ideas, feel free to ask me. When I stopped talking, they looked around, unsure at first. We can serve in any way we want? We can do anything? Interesting. Initially, they cleaned up a few toys each and were done. I thanked them for serving our family and moved on with our day. But they quickly slipped back into their former “chore”, which was the three of them splitting up emptying the dishwasher. The difference? No battles or refusals. They chose to serve our family that way, without me dictating what they needed to do. When I was processing how we wanted to approach chores, I read the book Smart Money, Smart Kids: Raising the Next Generation to Win with Money by Dave Ramsey and Rachel Cruze. They also care about wording, choosing to give “commission” instead of “allowance”. Kids are assigned jobs with a set pay day each week, and on pay day, they receive payment for each completed job. We want to teach my kids the value of work and basic money habits like tithing and saving at an early age, and we don’t see any other way to do that except to assign paid jobs. We set earning potential low ($2.50 each week per child) because: four kids and we’re not rich. Our one stipulation for paid jobs is that family service must be done with a consistently good attitude. Earning money is a privilege, and if you can’t do the unpaid work with a good attitude, you aren’t ready for paid work. It’s been three years now since we implemented this new approach to chores. Our kids still do family service, and they still do paid work. Every other day or so, I ask everyone to help clean up a big mess, and I remind them that a paid chores are a privilege contingent on them doing helping with a good attitude when asked (there might be a slight reference to the fact that they do less than some of their peers <wink>). We’ve worked more cleaning routines into our days, but they are generally family cleaning activities we do together, not solitary chores performed by individual kids. Just today, I left my oldest at home with her dad, who was working from home. Before I left, I asked her to finish her family service and to start loading the dishwasher while I was gone. When I got home and walked into the kitchen, what did I see? The entire dishwasher had been loaded, run, and she was emptying it right in front of me. Right now, it’s working, and I have no plans to change it. What’s your perspective on the word “chore”? How do you handle chores in your family? I’d love to hear from you! I have many of the same objectives, am looking to simplify our overall lives and routines as well. Ive tried many different methods, chore charts, getting paid on friday (both of these required me to stay after them to check off or record their jobs as being done in some way? And i often forgot to get cash to pay them, put it off for whatever reason, etc. After not being paid a few times the whole thing lost its appeal , not surprising lol..) So basically, i need a very simple, easy to maintain (no fancy pinterest project, magnet, chalk board, slide a thing over craft projects 🙂 system, that shifts responsibility to them? My kids are 12,9,5 and 3, and the older 2 consistently empty the dishwasher, and sweep the kitchen at the end of the day, trading off often. The younger 2 just pick up their toys and vacuum:) But my older 2 have been asking about allowances again, so Id like to revisit the idea of being paid a commission on Friday. I would also do family service (they just pick something random each day?) And paid chores (with yours, do they pick these, or are they assigned?) Thanks!! So with family service, it started out offering to let them choose. However, after a few days of taking time to find something they could do, they (ironically) settled back into the original “chore” which is emptying the dishwasher. They split it three ways and do it almost every day, though I do still try to have them do it earlier in the day, after breakfast works best. I just say, “Can you do your family service now please?” If they are having a particularly ornery day, I’ll offer a choice of now or in 5 minutes in order to avoid unnecessary pain on all sides. With my kids being younger, I still remind, but I may start telling my older child that she needs to learn to do it herself and implement a similar system that I use for paid jobs (see below). With their paid jobs, I offer three paid jobs to the older two (7, & 5): putting away their folded laundry, an assigned area to vacuum, and cleaning an assigned bathroom sink. I assign simply because there would be fighting otherwise, but I offered my middle the choice of his area and I tried to make it doable. My youngest just gets to put away his clothes. After several weeks, everyone always puts away their laundry (it’s done Monday or Tuesday and I give them until Thursday to put it away, after which I do it and they don’t get paid). Our 7 year old initiates doing her vacuuming on her own without me mentioning it. I ask our 5 year old once if he wants to do it – sometimes yes, sometimes no. I still generally do those chores when I feel like it (bathrooms more regularly than vacuuming), but if they do it, I pay them. THE KEY IS SETTING BOUNDARIES that you can live with – if it’s not done by this day, I will do it. If they really want to earn more money, they will do it – you could offer a trial run of 3 weeks. If they don’t do it on their own without reminding and you need to do it, tell them you can try again in a few weeks maybe? 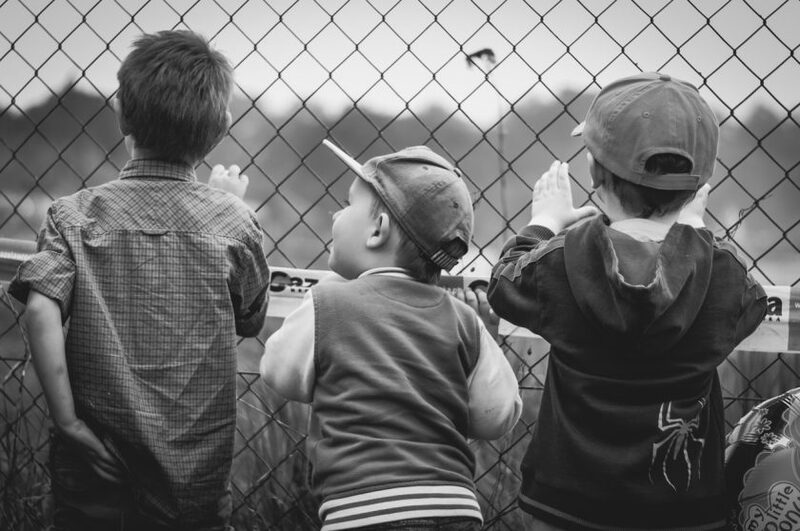 Our older two can earn up to $2.50 a week, our three year old – $1. When they complete a chore, they put how much they earn for that job on an index card on the fridge (of their own initiative). They get paid on Sundays, and when they do, they cross off their totals on the card and we start again. Does that help? I also don’t want anything Pinteresty – I need simple and straightforward! Yes it does! Ive complicated it too much i think. Before kids I did things the Flylady way, (on desk day I did bills, cleaned out my purse, my desk, etc..) and i have tried to break it down into TOO many small tasks for them to choose from, or to be assigned, and if we didnt do em on a set day or order id feel behind. When I think about it, just having someone clean their bathroom every few days, and put away the dishes, and vacuum, as well as putting their clothes away, would be a huge help. By far my most dreaded task and where i always feel behind is laundry. Im continuosly going back and paring down our wardrobes. Right now Ive just got one dirty hamper, in my bathroom. It gets full pretty much every day, so I do a load every day. Usually a dirty/boy load, or a girl/cold stuff load. Getting the clothes folded and put away is the problem. Right now Ive got my 3 boys sharing a room, and in a 10×10 bedroom with small closet, 2 dressers, and a bunk bed, its pretty tight! Im going through their clothes again today. My plan is to try having them put their clothes either fabric cube type bins on a shelf, maybe 3 per boy, or one large underbed box per boy. Id like to remove one dresser and use the other for their “special” stuff so they each have a sort of hidden place to keep it safe from the others? When we camped in our RV last week, each child had their clothes,in a laundry basket, and it worked well. As often as we camp, the idea of having their clothes,in a basket, not having to fold them, just have them toss em in,and simply pick it up and carry it to the camper vs packing it up, sounds great. Im trying to figure out how to make this work. I love this! Filing this wording away for however many years in the future..